It was an amazing experience watching some of the top authors of India speaking on Book Publishing, their experiences as an author and what obstacles they faced from writing, publishing and marketing their works. 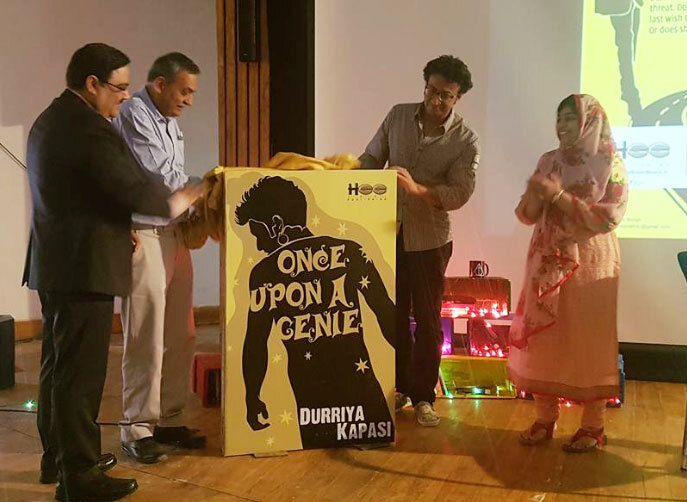 I feel immense pleasure revealing my debut book “Once Upon a Genie’s” Cover at Lit Fest held in Indian Institute of Management, Udaipur on February 26th 2017. Lucky enough to get Ravi Subramanian (Author of Incredible Banker) and former MD of SaReGaMa Apurv Nagpal (Author of Eighteen plus) on stage with IIM U’s Director Janat Shah to reveal the book’s cover by uncovering the replica. Thank you IIMU LitFest Team for inviting me there.